Violist John Batchelder has captivated audiences across North and South America as a passionate chamber musician, recitalist and soloist. He has performed as soloist with numerous ensembles such as the Hemenway Strings, Worcester Bach Consort and Plano Senior High Symphony Orchestra, as well as participated in various summer festivals and masterclasses, such as The McGill International String Quartet Academy, the Banff Centre Masterclasses, St. Lawrence String Quartet Seminar, the Meadowmount School of Music, The Apple Hill Center for Chamber Music, and the Music from Salem Viola Seminar in Salem NY. As a member of the award winning Julius Quartet, currently the Peak Fellowship Ensemble-in-Residence at the Meadows School of Music at Southern Methodist University, John has performed in venerated venues such as Carnegie Hall’s Weill Recital Hall, Bargemusic, Moss Arts Center, Shalin Liu Performance Center, and Bing Concert Hall. As a chamber musician, John has collaborated numerous artists such as Joseph Silverstein, Aaron Boyd, Andres Cardenes and members of the St. Lawrence, Shanghai, Baumer, Lydian and Escher Quartets. In 2011, John was a winner of the Davis Projects for Peace Grant for his program designed to help, encourage and teach music to the young children of the favelas of Natal, Brazil. 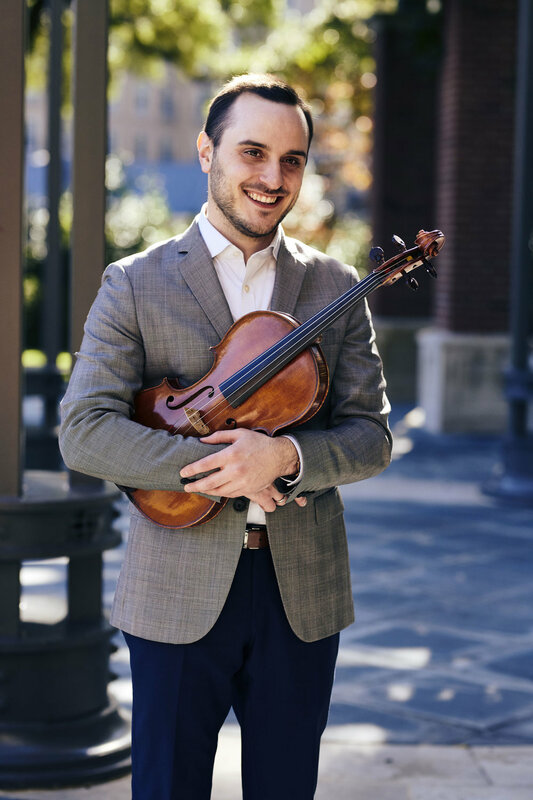 John is a graduate of The Boston Conservatory where he studied with Lila Brown, and of the John J. Cali School of Music Graduate String Quartet in Residence program where he studied with Honggang Li of the celebrated Shanghai Quartet. Furthermore, he previously served as Artistic Coordinator at the National Arts and Humanities Youth Program Award (NAHYP) award winning organization Project STEP; a nonprofit, music education program. Currently, as part of the Peak Fellowship, John is an Assistant Chamber Music Coach at the Meadows School of the Arts at Southern Methodist University.